What about the personal data on those millions of recalled Note7s? The users of millions of faulty Samsung Galaxy Note7s, already turned in, face a bigger potential dilemma than whether the devices might blow up: The fate of their personal data on the devices. Many of the users of some 3 million Note7 devices sold were told by Samsung and government officials to immediately stop using the devices. They most likely didn't have time to thoroughly wipe sensitive personal data like credit card numbers or medical information. Samsung hasn't divulged what it plans to do with the Note7s that were turned in, and didn't respond this week to a query about how it plans to ensure customer data is kept confidential. The company said earlier this week that it is reviewing options for environmentally disposing of the Note7 phones after Greenpeace demanded Samsung find ways to reuse rare materials in the phones, such as gold and tungsten. Samsung stopped sales of the Note7 in October and is still in the process of recalling them in the U.S. and other countries. 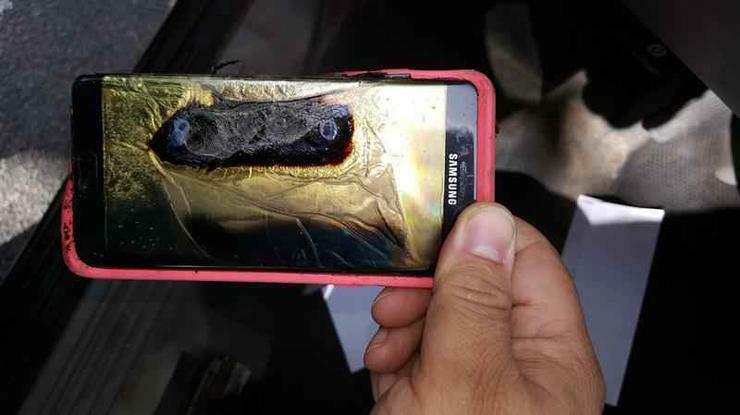 Along with the U.S Consumer Product Safety Commission, Samsung received reports starting in September that dozens of Note7 devices had gotten hot, smoked or caught fire, sometimes burning people or damaging property. Samsung sold 3.06 million of them before customers were advised to stop using the devices and return them for an exchange or refund. About 2.5 million have been turned in. While many smartphone users know to wipe data from a phone before making an exchange for a new one, they don't usually take the complete and proper steps to do a thorough job, according to Richard Stiennon, chief strategy officer at Blancco Technology Group, a technology device testing and repair firm. "The risks associated with not properly deleting data from devices before trading them in have been well established," he said via email. "But this situation with Note7s is unprecedented. This is a massive, somewhat chaotic recall. We've never seen a situation where a manufacturer suddenly has millions of devices that have been ordered to be immediately shut down. I wouldn't be surprised if most people didn't follow proper data erasure protocols." He said it is normally a user's responsibility to ensure any personal data is removed. "However, Samsung Note7 users are in a unique situation because they must immediately power down their devices to minimize the risk of overheating." Because of the immediate need to shut down, he said the responsibility to erase all data has shifted to Samsung. "Consumers should be very concerned that Samsung has not announced what they plan to do with the 2.5 million recovered devices, especially given the amount of sensitive information stored on smartphones," Stiennon added. For an Android device like the Note7, don't use a factory reset, since it only removes pointers to the data and leaves data accessible. Use a secure data erasure method to overwrite the data. Make sure the data erasure adheres to legally required overwriting standards, such as HMG Infosec and DoD 52220.22 M.
Make sure the erasure solution is approved by government agencies like NATO, Department of Defense and others. Obtain proof of erasure, such as a tamper-proof certificate that can't be altered. Double-check that all the data was in fact, erased. Steinnon didn't name any consumer products to erase data, but some are available on the web, including ErasePhone and BlackBelt Smartphone Defence. Blancco also offers a management console to companies for secure data erasure.